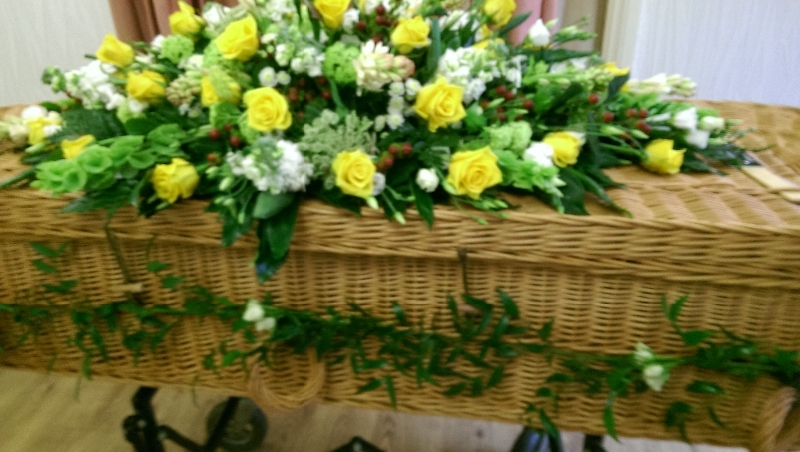 Coffin or casket flower arrangements are created specifically to be placed on the coffin during the service, and can be kept there until completion. 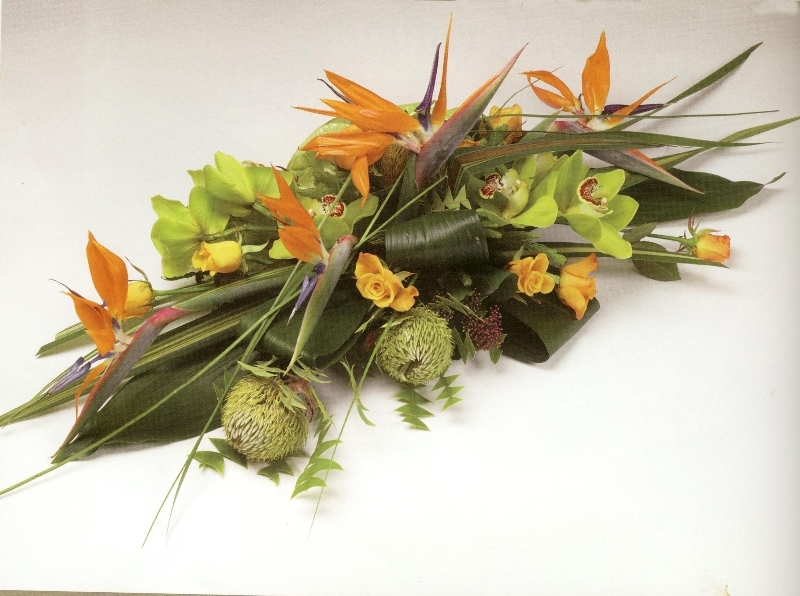 These arrangements can be built to be half length, three-quarter length, full length, full cover, or simply as an arrangement to be placed on top. 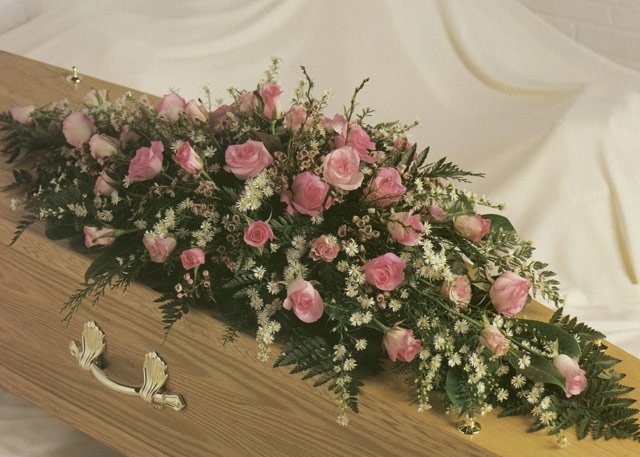 There are a number of shapes and options available, including single-ended sprays, crosses, and other shaped coffin adornments. We have several of these options displayed throughout our website. 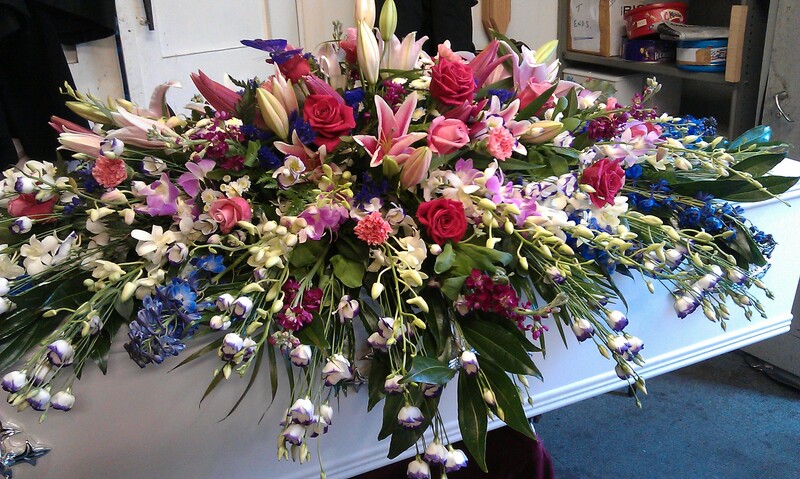 Any of our flower options can be used as a casket arrangement. 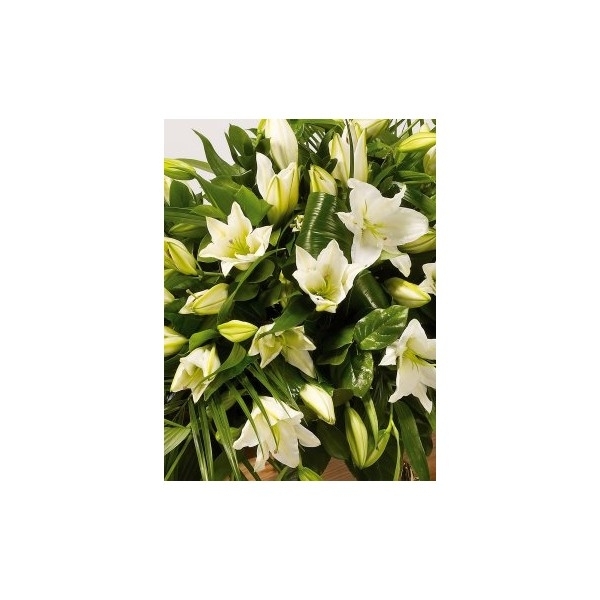 Let us know if you have something particular in mind while ordering so that we can ensure you get exactly the arrangement you want. 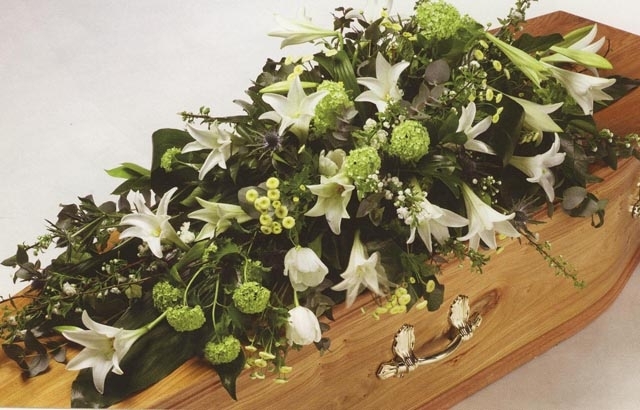 Coffin flowers are often the centrepiece of your funeral flowers, and this an incredibly personal choice. 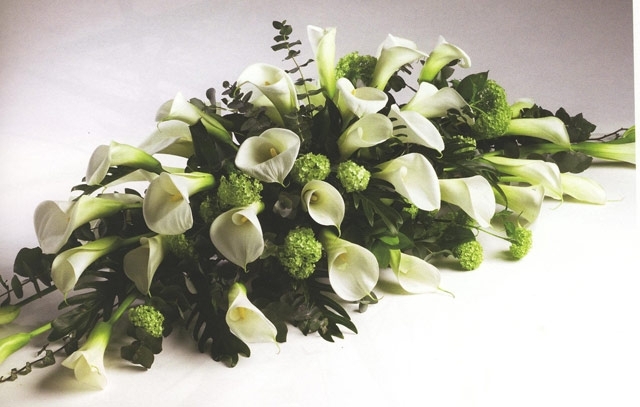 We are available to help you choose the right shape, flowers, colouring, and design for this occasion and your attendees. 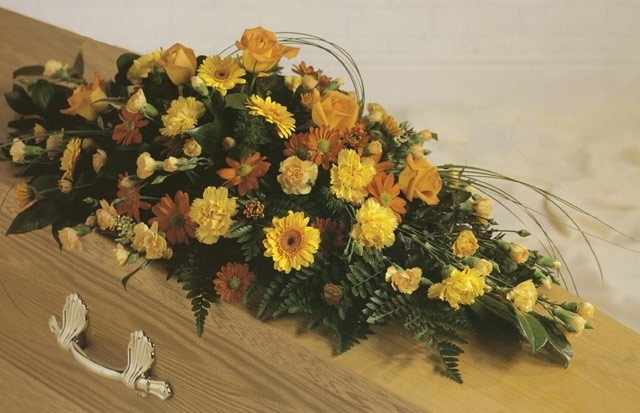 At this difficult time, you will find the arrangements for your tribute easier with our qualified, experienced staff. Our specialists are present to help with any guidance and advice that you may need. 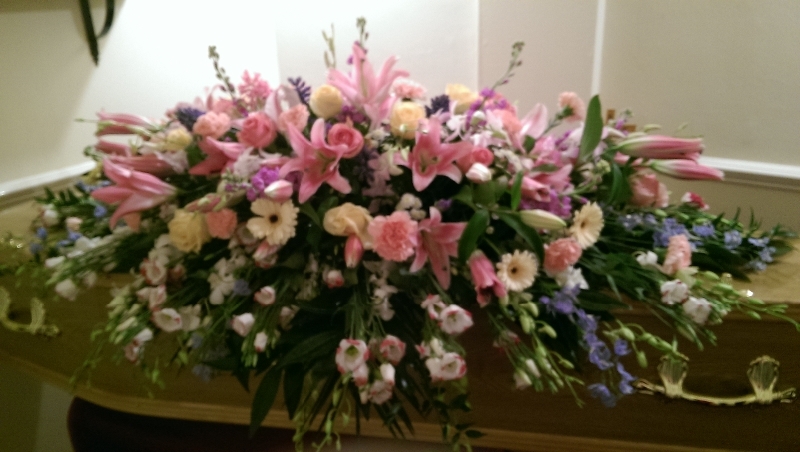 If you are unsure about which flowers are appropriate, take some comfort in knowing that we are recommended by leading funeral directors throughout London and Hertfordshire. Your satisfaction is our priority. 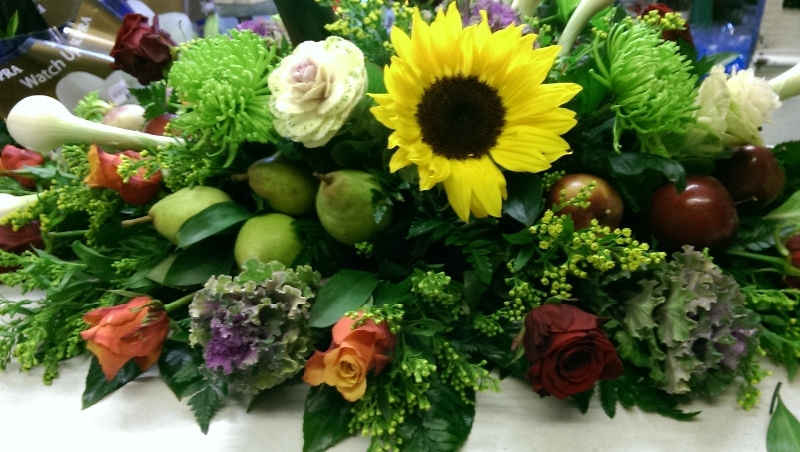 Often a loved one had a favourite flower or colour that our clients wish to incorporate into the arrangements. 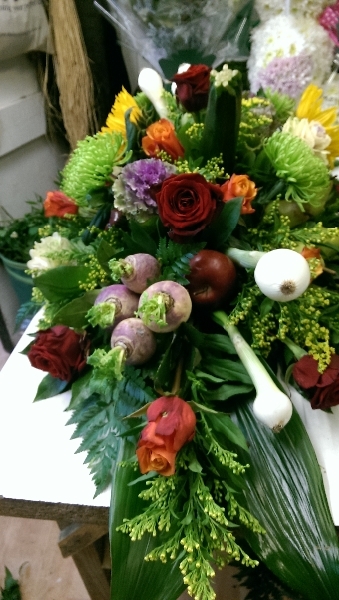 We are happy to help with this. 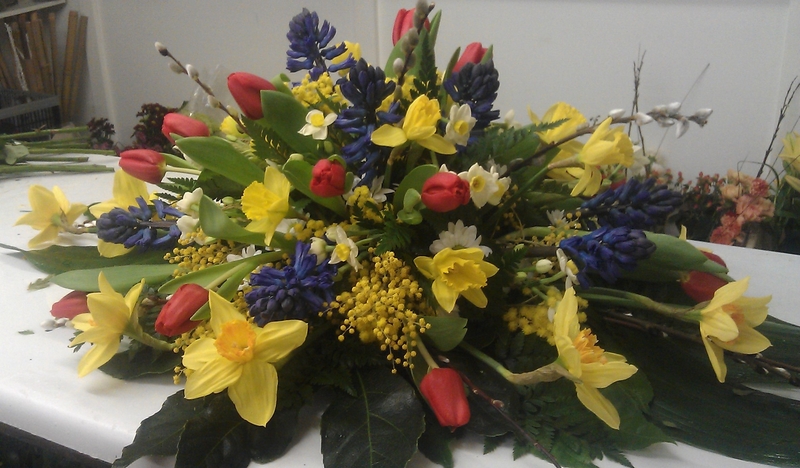 Please do let us know and we will include these choices into the coffin flower arrangement. 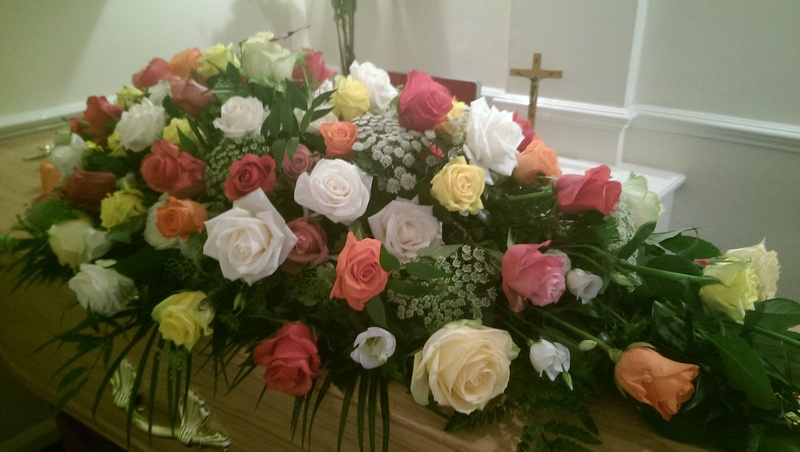 If you have a set budget for flowers or the funeral as a whole, please also let us know and we will advise you on the most effective way to create a beautiful, fitting tribute for the day.